Now you can also have your Affordable Wedding Ceremony Celebrant’s Home, at the celebrant’s beautiful garden. My fee includes all legal paperwork so that you can relax and enjoy the journey and the ceremony. It is a much cheaper yet more friendly and personal wedding ceremony than at the registry. Contact me so we can discuss and plan together your wedding ceremony too. 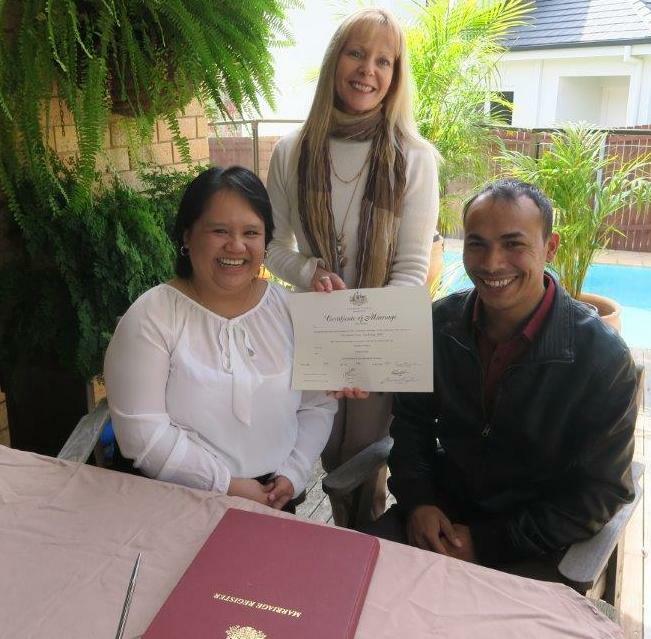 This entry was posted in Affordable Celebrant, Affordable Weddings, Marriage celebrant, Sydney Celebrant and tagged Affordable Celebrant, Affordable Wedding Ceremony, Budget Celebrant, Budget Wedding Ceremony, Celebrant Sydney, Experienced Celebrant, Free Garden Wedding, Marriage Celebrant, Sydney Celebrant, Wedding Celebrant.